A week or so ago I did a post highlighting some books that might be helpful as college students go back to campus, or for those first year students who may need some help thinking through the broadest themes about learning, vocation, calling and being a person of faith in the world of higher education. We have done our fair share of talking with college students and I know there are campus ministers and youth workers that follow the lives of their young adult friends, and most really agree that having some thoughtful Christian books around in those critical years is so, so important. I’d encourage you to revisit that BookNotes list and give us a call if you’d like to chat about ways to help connect your college friends (or children, if you are a parent) to solid Christian resources to accompanying them on their journey. And, of course, this is the time of year that others are heading back to the halls of learning, too. Are you a teacher who may need some extra encouragement? Do you know teachers who might appreciate a gift book that says “I care about what you do”? Maybe you are a parent who just wants to be clued-in to what teachers go through, or want to be able to support the educators you know. or get involved in education reform. Well, here are a few that we like. 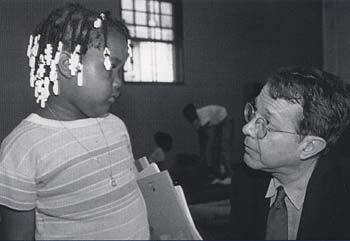 On Being a Teacher Jonathan Kozol (OneWorld) $14.95 Thank goodness for the work and witness of this amazing person, his love for children, his outrage about the inequities of how so many poor public schools are underfunded, for his relentless work and impassioned writing over decades and decades. I love a lot of books, but there are a rare few that I truly mean it when I say they “changed my life” and I would say that Mr. Kozol’s first two books fall into that category for me. His Death and an Early Age earned the American Book Award in the 1968. This 1981 book is a strongly argued work offering a “fervent and provocative assessment of the role of the teacher in America’s schools.” He advocates–as it says on the back—“an approach to education that is infused with ethical values, fairness, truth, and integrity, and a driving compassion for the world beyond the classroom. I like the way he offers ways not only to navigate the classroom, but how he invites teachers to partner with parents and other students. A passionate activist for quality schools with a deep sense of social justice, this is a landmark book by an very important author. Kudos to this British publisher who brought this back out after being unavailable for years. It seems to me that not many know about this new re-issue, so we are happy to announce it here. Letters to a Young Teacher Jonathan Kozol (Three Rivers Press) $12.95 I love this series of “the art of mentoring books.” Mary Pipher has Letters to a Young Psychologist, Perri Klass has an excellent one for young doctors, Samuel Freedman wrote a good one for young journalists, Tony Campolo even has one called Letters to a Young Evangelical. They do read like letters sent from a wise professional mentor, and in the case of this wonderful Kozol one, they really are a set of letters he wrote to a young elementary ed major who had written to him, asking some basic questions about how to integrate a sense of social justice into her care for children and her daily work as a teacher. The letter format makes it easy to dip into (which is great for busy teachers.) From getting along with administrators to keeping hope alive, from thinking about grades to wondering about school choice (Kozol is, frustratingly, against it) this is a marvelously written and compelling set of humble advice, gentle suggestions, and the occasional passionate encouragement. Gracefully done and very helpful. Letters to Lisa: Conversations with a Christian Teacher John Van Dyk (Dordt College Press) $11.95 I am very fond of all of Van Dyk’s books on thinking Christianly about schooling. Here, we have a series of lovely letters with a point; in each letter, a young teacher, Lisa (who happens to be Van Dyk’s daughter, just out of his college classes on education) asks her father/ professor how to apply a certain principle in a contemporary, real-life setting. Yes, yes, she says, it was so inspiring to have you lecture on a Christian worldview, on how to integrate faith and learning, faith and teaching, how to serve God by serving the classroom. But here I am, she seems to write, with real kids that don’t get along, with real parents with their own set of demands, with an administration to deal with, with, with…well, you get the point. Each letter from Professor Van Dyk reiterates a lesson from his classes on Christian thinking about education, and applies the point to her real classroom. This is a great way to join in the conversation about developing a Christian perspective on pedagogy and the philosophy of education, but always shows the daily difference it makes amidst the typical problems, challenges and joys of classroom work. Lisa, by the way, teaches in a thoughtful and creative Christian school, but I would imagine that public school teachers of Christian faith could apply the principles in their setting as well. 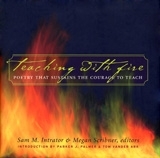 Teaching With Fire: Poetry That Sustains the Courage to Teach Sam Intrator & Megan Scribner, editors (Jossey Bass) $16.95 In the years following the publishing of the extraordinary Courage to Teach, there were workshops and seminars for educators about Parker Palmer’s insightful book about spirited teaching. Part of what came out of some of those times were poems shared, teachers who used a certain poem to give them courage, to keep them going, to remind them of the joy and calling of being a caring teacher. Eventually, educators were invited to send in their poem, along with a brief description of why it so motivated them. This is just a wonderful, wonderful collection of poetry that has restored the faith of teachers. A good collection of poems in its own right, a wonder when seen as an ally for inspired teaching and learning. Lives of Children and Teachers Lina Lantieri, editor (Beacon) $23.00 This is an extraordinary and wide-ranging collection of pieces by those who desires an deeper integration between some deep sense of values and spirit and the ways in which we teach and learn. While not a “Christian” book, it has some lovely writers, some important voices—Parker Palmer, Jacob Needleman, Geoffrey Canada, and other peacemakers and activists. Some of these essays are very, very insightful, and we’re excited to think of teachers reading it. Daniel Goleman (of Emotional Intelligence fame) wrote a forward, noting how formation of character and an awareness of the deepest ways children construe meaning, is a vital aspect of the best education. The End of Education: Redefining the Value of School Neil Postman (Vintage) $13.95 One can hardly think of a more important cultural critic and trenchant writer than the dear Jewish scholar Neil Postman. I spent a few hours with him walking around together before he died, and it was a thrill (similar to my card ride talking about Jesus with Jonathan Kozol.) I just think that thoughtful folks should read this stuff, and here, he playfully asks what the end–the point?–of education is. For, of course, with out a sustainable and virtuous end, well, it could be “the end.” He isn’t goofy about it, but is elegant and incisive and very insightful. I was once preparing lectures for a group of teachers and chose this as our primary conversation partner, and was so, so glad for his wisdom. Going Public: Your Child Can Thrive in Public School David & Kelli Pritchard (Regal) $12.99 We are big supporters of the idea of alternative Christian schooling, and many creative faith-based schools do a great job allow the distinctives of a Christian view of life to shape the experience of learning, the content and ethos. Yet, for most of us, these innovative schools aren’t around, or we cannot afford them. I know of some parents who seem to think that they are lesser disciples of Christ if they don’t home-school or send their children to Christian schools. Using Biblical truths and practical examples, this book holds out the possibility that ordinary kids from strong Christian families can and should thrive amongst their peers in the local public school. With a fun forward by Denny Rydberg (President of Young Life) this book is the only one of its kind. If you know of parents fretting about this, this book could bring solace, encouragement, and some practical pointers on being active as Christian parents in the public school systems. Nicely done. The Bible and the Task of Teaching David I. Smith & John Shortt (The Stapleford Centre) $27.99 You may recall my mentioning Learning From the Stranger, the new book by David Smith on multi-cultural concerns (he’s a foreign language teacher at Calvin College and co-authored a faith-based perspective on language learning called The Gift of the Stranger.) David also has the reputation for doing excellent teacher training events, conjuring up visions of an integrated Christian worldview and the best practices in coherent, caring classrooms. Of course, people of Christian faith want their work–in this case, teaching–to be shaped by the Biblical story. How does that happen? What does that look like? What do we mean by a Christian view of education, and how do we then teach our subjects in a way informed by the Biblical truth? This is a book we import from England and it is excellent. A bit serious-minded, but a must-read for any teacher who wants to honor God in her everyday work of teaching. The Vocation of the Child Patrick McKinley Brennan (Eerdmans) $36.00 Wow. This is a scholarly collection of essays that bring the language of calling and vocation to our understanding of the task of childhood. There are eccentric pieces here, scholarly case-studies and a few chapters that won’t appeal to everyone. Yet, there is stuff written here that simply has not been put down before, and we highly recommend it for that reason. Renowned theologians and writers include Marcia Bunge, Vigen Guroian, and Bonnie J. Miller-McLemore, and there are some serious Catholic philosophers included as well. Legal scholars such as John Witte are represented and a very important educational analyst, Charles Glenn. All in all, this is a keepsake reference book, a resource for those wanting to deepen their scholarship around issues of the nature and calling of the child. Your list was interesting. One of my favorite education authors is Virginia Paley. Her books are geared towards Elementary/Preschool teachers in their content and themes, but powerful I think for anyone. She wrote several books about the importance of imaginative play for children. My favorite is You Can’t Say You Can’t Play–she challenges a kindergarten class to not say that. My other favorite education book is called Dreamkeepers–Successful Teachers of African American Children by Gloria Ladson Billings. It is a really good book and helps especially first year teachers understand how to better teach their students if they are African American. What would your list be for homeschooling teachers? Thanks so much for this! We have the Dreamkeepers book here in the shop, but I didn’t know the Play book by Paley. We’ll get it! By the way, at my Facebook profile when I noted this list, a few people chimed in, too, about their favorite books about schooling. Guess it is an important topic. Many thanks.